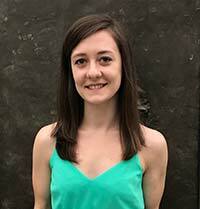 MSc Forensic Science graduate Johanna, shares her experience of being an international student at the Faculty of Science, University of Strathclyde. As the end of my undergraduate degree drew near, I remember coming home from a graduate school open house feeling completely defeated. I loved science and I wanted to continue my education down a biochemistry research path, but listening to researchers share their passions, I realised this was not for me. I conveyed my disappointment to my dad and he calmly asked me, “Well what do you want to do?” That’s when I remembered a life-long dream that I had supressed. I told him that I wanted to be a forensic scientist. I spent the next couple weeks looking into Forensic Science Masters programs in Canada. To my surprise there were not many options. It was suggested to me that I look outside of Canada, which is when I found the Masters of Forensic Science program at the University of Strathclyde. I chose the Faculty of Science at the University of Strathclyde because it had the exact course that I wanted. As the longest running Forensic Science program in the UK, I felt confident that the teaching would be first-rate. As an international student, it was also important to me that the program was accredited, which ensured that my education and training would be recognised worldwide. Finally I choose Strathclyde because many friends confirmed it was a wonderful university and that Scotland was a beautiful country. The application process was very straightforward. I spent an evening completing applications and the next morning I was contacted by Dr. Penny Haddrill from the Centre of Forensic Science. She made me an offer of a place in the program. Since I had my final transcripts I received an unconditional offer by the end of the week. I have never before experienced such a fast reply or personal communication during an application process. I had never been to Scotland before arriving to start my Masters degree. I didn’t know what to expect but I was excited for the new adventure! Very soon both Glasgow and Strathclyde felt like a second home. As an international student, I didn’t know anyone when I moved to Scotland; therefore it was very important for me to join different groups. The Strathclyde International Society is a great way to meet other students and experience the best of Scotland and Glasgow. I also joined a local church. They were very welcoming to new students and had many groups that were available to join. This was a way for me to meet individuals outside of school and build connections with a broader range of people. The best part about uni life was the little family that developed with my classmates. Most of us were international so we quickly became each other’s support network. We would create study groups and celebrate together after the completion of big projects or exams. I also love travelling and wanted to see as much of Scotland as possible. 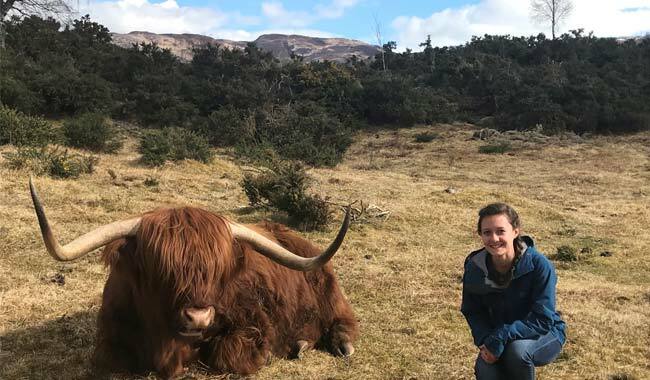 Strathclyde has a close connection with Student Tours Scotland. On the weekends they would bring students on trips all over the country. Through this group I was able to walk through Glen Coe, explore Oban, hike Goat Fell on the Isle of Arran, and of course visit Nessie at Loch Ness! This was a fun way to travel, especially since it catered to students. My favourite part about living in Glasgow was being able to explore the city. It is very different from cities in Canada. The historical architecture is stunning; I was always in awe on my walk to class! The city is very lively. I enjoyed the street performers on Buchanan Street, Christmas markets, various festivals, and the 2018 European Cycling Championships! If you are an international or new student to Strathclyde don’t forget to soak in every moment! As an international student completing a year long Master’s degree, I wanted to make the most of my time studying abroad. It can be scary starting a completely new adventure far away from home but it will be worth it. The time flew by and it was definitely one of the best experiences of my life.